Australian police were looking Thursday for at least one attacker who killed an Israeli woman as she was walking on a city street speaking to her sister by phone. Aiia Maasarwe, a 21-year-old student who had been studying at La Trobe University in the city of Melbourne, was slain at 12:10 a.m. on Wednesday shortly after she got off a tram in the suburb of Bundoora, Detective Inspector Andrew Stamper said. Maasarwe was having a conversation with her sister when she was attacked on her way home from a comedy club, Stamper said. The sister “heard the sound of the phone falling to the ground, she heard some voices and that was it,” he said. The family alerted police around the same time that Maasarwe’s body was found at 7 a.m. Wednesday near the tram stop. Police assume the attack was random and opportunistic. “Out of respect to the family, we’re not going into details of injuries and the nature of the assault,” Stamper said. “This was an absolutely horrendous, horrific attack inflicted on a completely innocent young woman who was a visitor to our city,” he added. Maasarwe’s bag was split open and some of its contents were removed, Stamper said. Police also recovered a black baseball cap and a gray and black T-shirt that they suspect an assailant discarded after the attack. The victim’s uncle, Abed Katane, told Israel’s Haaretz newspaper that Maasarwe had been studying at Shanghai University and had spent recent months in Melbourne on a study-abroad program. Her father had left Israel for Melbourne in a bid to coordinate her body’s return home, Katane told the newspaper. 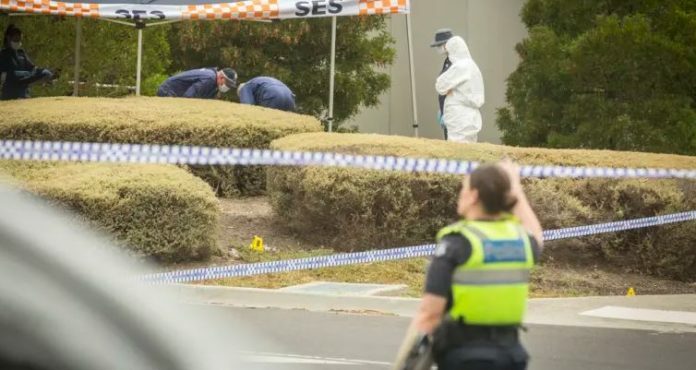 Victoria state Health Minister Jenny Mikakos said there would be an increased police presence in Bundoora, which is frequented by students, to reassure the community during the investigation. “It is a terrible tragedy,” Mikakos, who lives in the Bundoora area, told reporters. “As a government, we will do whatever is required to support this woman’s family and friends and I extend my sympathy to her family and friends at this terrible, terrible time,” she added. Next articleRamat Givat Zeev is expanding and now features 40 additional housing units. If you change the headline of this article that will be very helpful ! Why would it be helpful to change headline? I got mugged and assaulted this week in our frum neighborhood at SIX PM as i was ON A CELLPHONE. my job now is to teach people to not be distracted when its dark and NOT be on cellphone. Tell your kids. The detective said he tells his wife and kids Dont be on the cell getting out or in car or out or in house. they are looking for distraction.